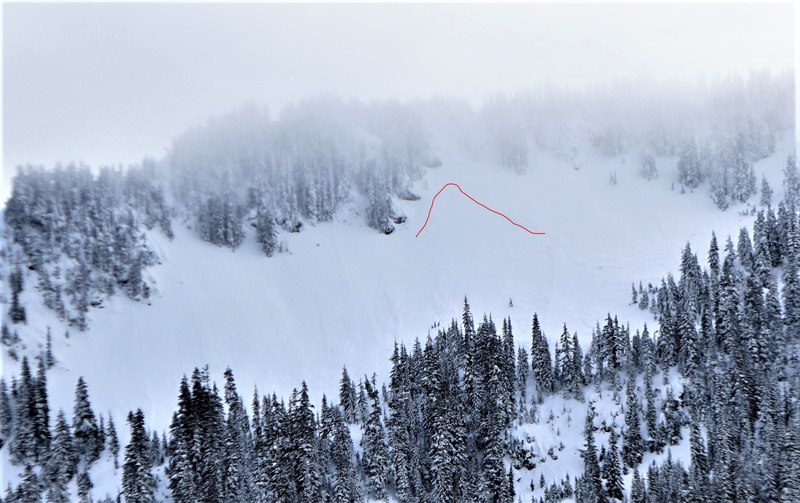 The Bottom Line: Firm surface crusts exist on all aspects and elevations after several days of clear very mild weather, limiting the avalanche danger. Another sunny and warm day Monday will compete with increasing easterly winds limiting snowmelt and the Wet-Loose avalanche potential. Watch for deeper melting surface snow on steep sun-facing slopes sheltered from the wind. A nearly 1-inch thick ice crust broke down on Saturday and Sunday with very warm temperatures and sunshine. Hard surface crusts also made for hazardous conditions from uncontrolled falls, especially early in the day. These conditions should continue Monday, especially early in the day before crusts soften. Recent cornices have been evident in the terrain. You are most likely to find them overhanging northerly slopes or on the edge of gully features. Don’t linger below these cornices on Monday as the sun begins to warm them. 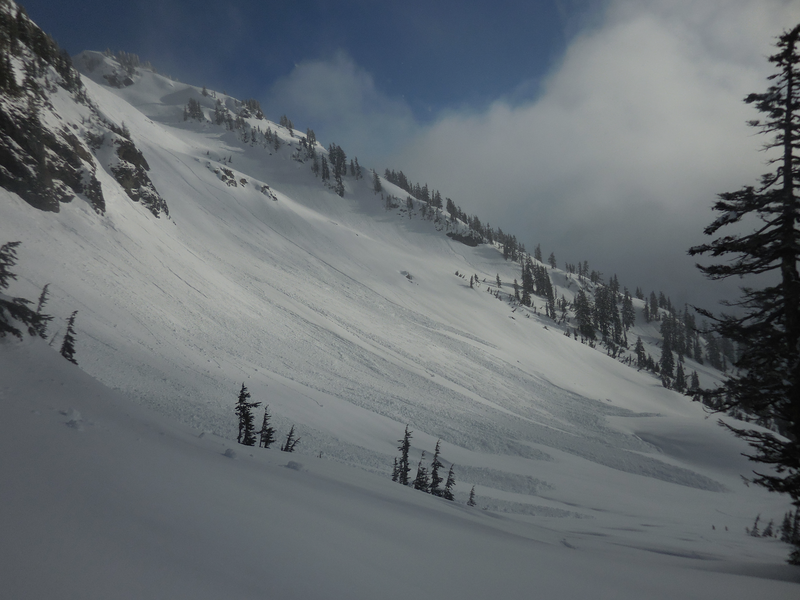 We expect the potential to trigger a Loose Wet avalanche on slopes steeper than 35 degrees that are experiencing direct sunshine and sheltered from increasing easterly winds. If you experience loose snow deeper close to your boot top, seek lower angle terrain or adjust your aspect. These avalanches are most dangerous where they can push you into a terrain trap, over a cliff, or into a boulder, or a tree.